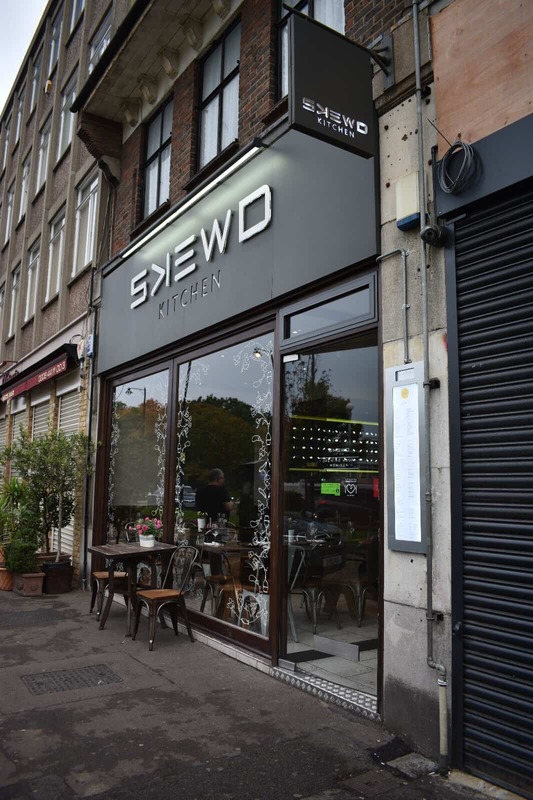 What an experience we had at Skewd restaurant in Barnet this week. Located opposite Cockfosters station it is a bit of a journey out of central London but so worth the trip! 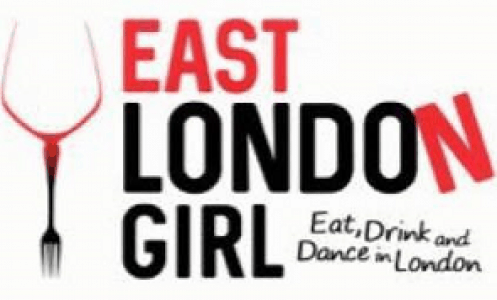 Their ethos is Anatolian cooking with attitude. 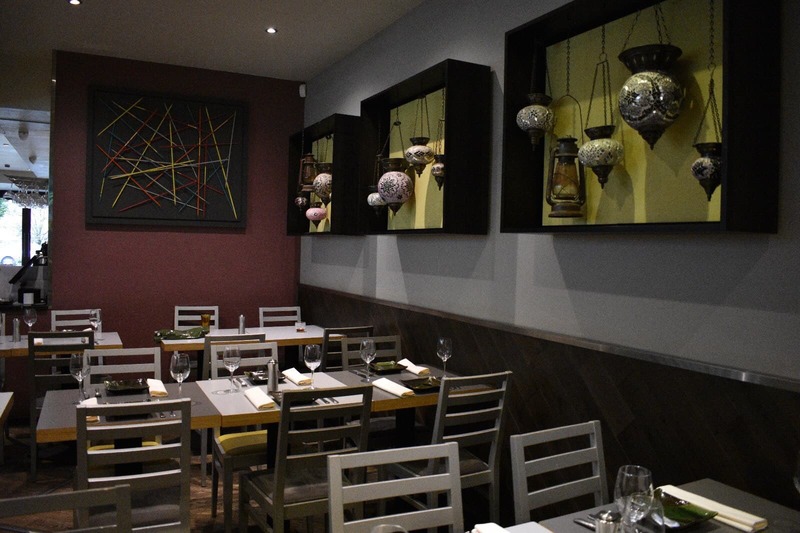 Turkish and Mediterranean fine dining is served up in this attractive restaurant with seasonal fresh produce sourced from London markets every morning. 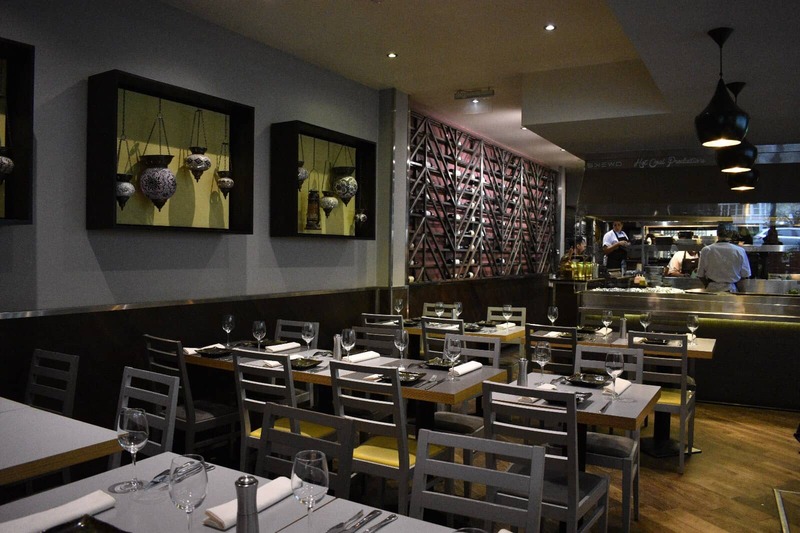 The restaurant is decorated with a Mediterranean twist and has a fantastic open kitchen so you can watch the chefs at work. Head Chef Tim Dela Cruz has jumped straight in to putting his twist on the menu. We had the pleasure of meeting him and learning about his background before Skewd, including working in a fair few Michelin starred restaurants and being a MasterChef Professionals contestant in 2015! Chef Tim is all about the experience and produces food with passion and love. 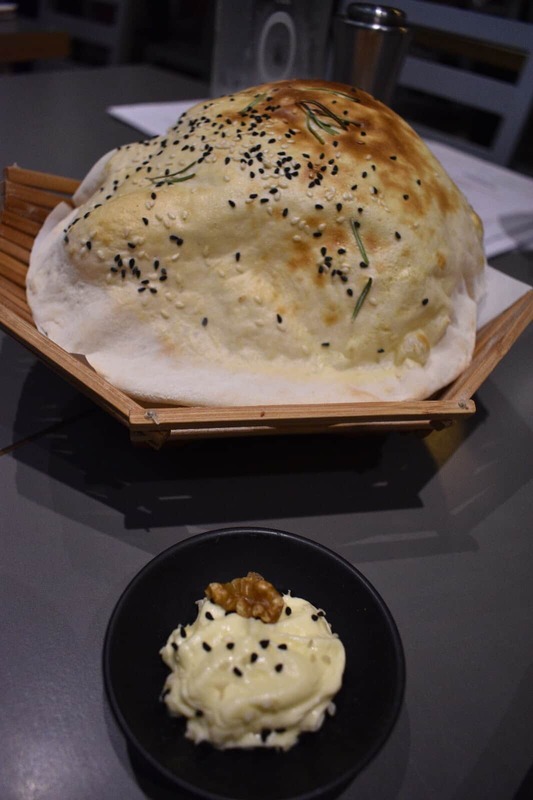 We started with some delicious puffed up bread straight from their stone oven, with creamy whipped butter which was so good! 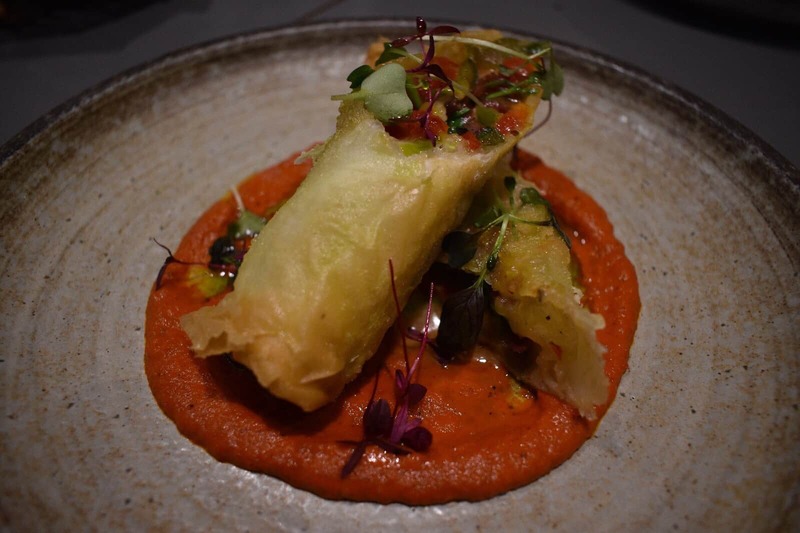 For our starters we tried the Bertha Grilled Octopus: served with Mediterranean salsa and the Pachanga: filo pastry, filled with mixed bell peppers, portobello mushrooms, kashar cheese, cured fine beef and parsley, on roasted red pepper sauce. 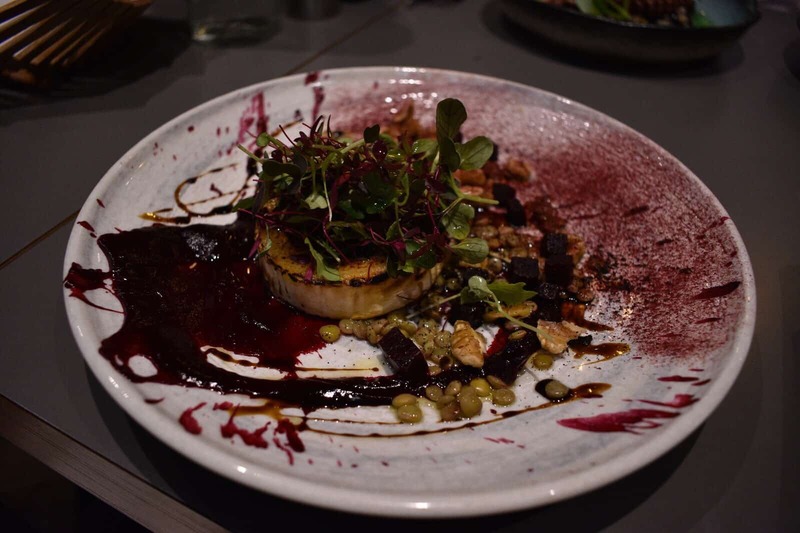 Chef Tim also provided a Honey-Glazed Goats’ Cheese: served with Bertha roasted beetroot, caramelised shallots and walnuts, drizzled with 8 year’s aged balsamic. Wow wow wow! 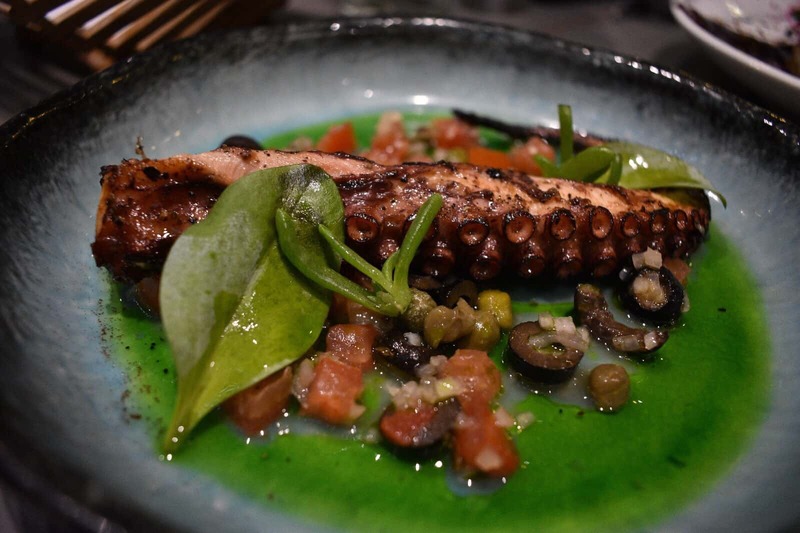 The octopus was cooked perfectly, crispy on the outside tender on the inside and the salsa was delicious. The Pachanga was really tasty too and the pastry was crispy and the filling was packed full of flavour. The goats’ cheese was creamy, sticky, sweet perfection! The accompanying beetroot, walnuts and balsamic complimented the cheese so well and made a very tasty dish. 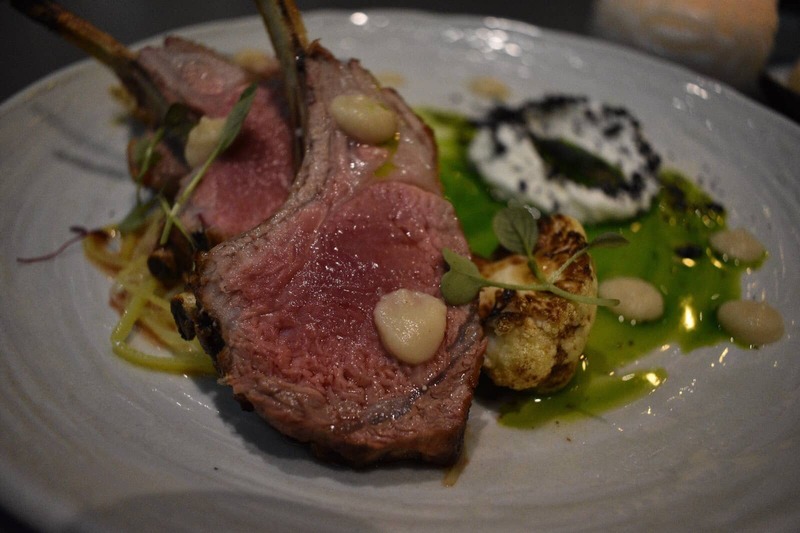 For our mains we tried the Lamb Shish (Skewd’s signature dish) and the daily specials of Lamb Chops: pan roasted lamb chops, fermented cauliflower, leeks, smoked yoghurt, lovage. 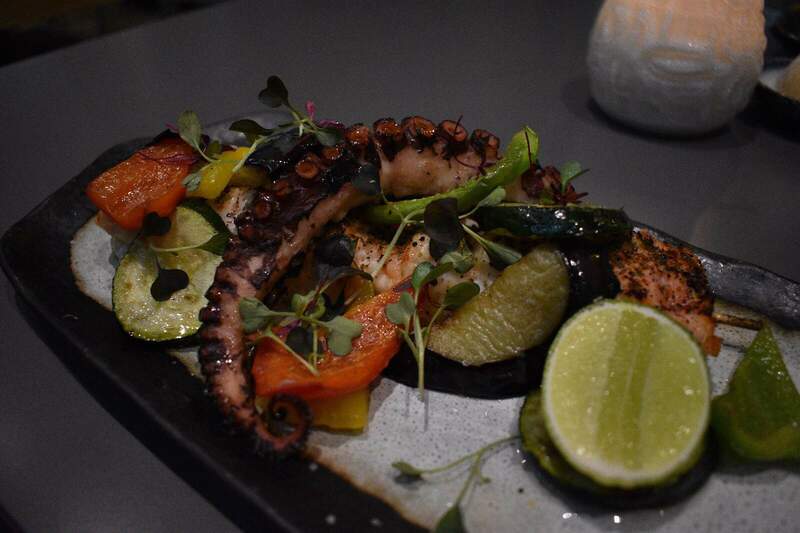 We also had the Ocean Kebab: wild Alaskan salmon, monkfish, king prawns and octopus. We were similarly impressed with the main dishes. 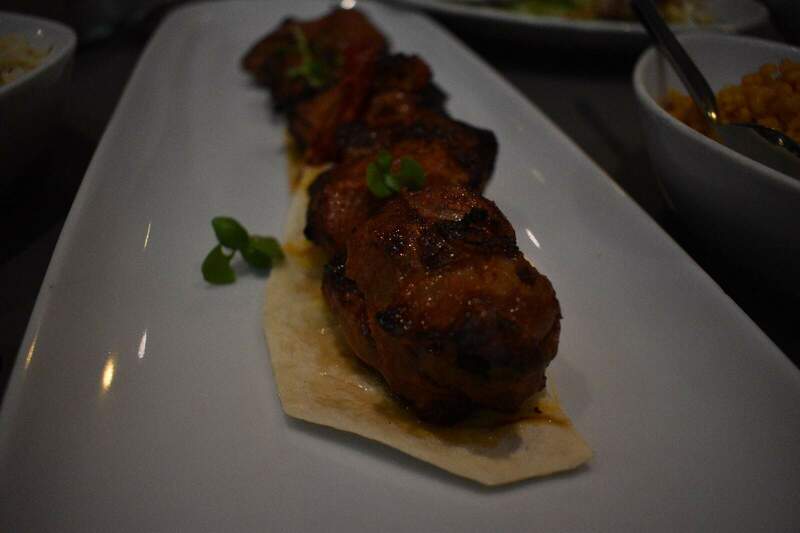 The shish was packed full of flavour, perfectly seasoned and then perfectly cooked. The lamb chops were tender, well-seasoned and complimented by the smoked yoghurt and lovage. 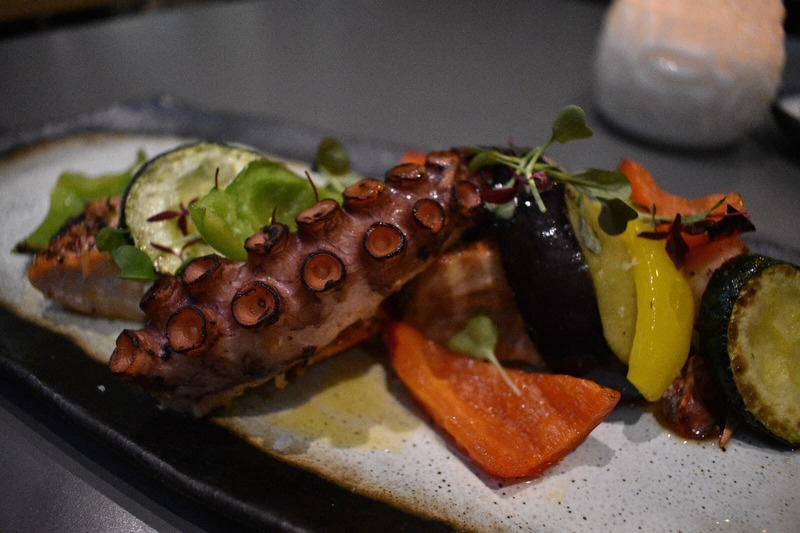 The seafood skewer was also incredible, with soft juicy salmon and meaty monkfish and prawns topped off with an octopus tentacle and lightly grilled Mediterranean veg. Alongside our mains we had sides of the Shepherds Salad: a combination of tomatoes, cucumbers, red onions, fresh parsley with olive oil sumac and pomegranate molasses. We also had some Pilav Rice and Bulgur Rice – both well cooked and complimented all the mains. Already fit to burst, Chef Tim gave us an awesome end to our meal with a Baked Alaska. 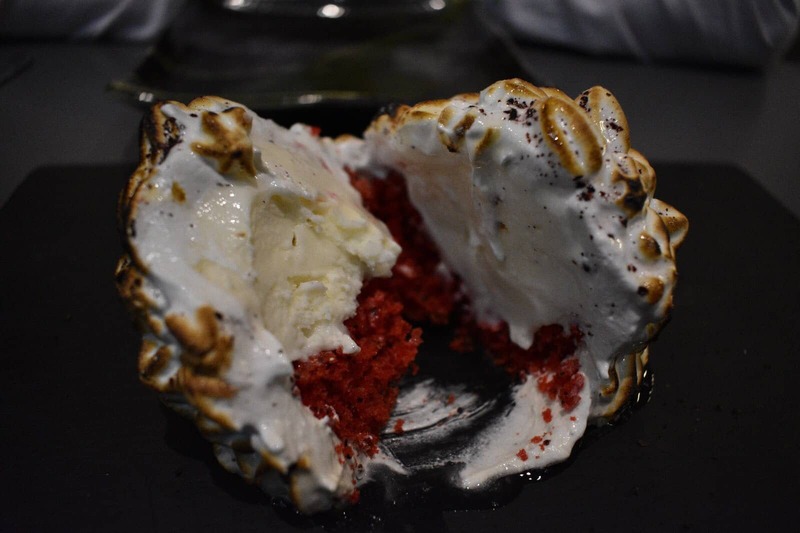 This one had a gorgeous red velvet sponge base, topped with Mastika flavoured ice cream coated in toasted meringue. 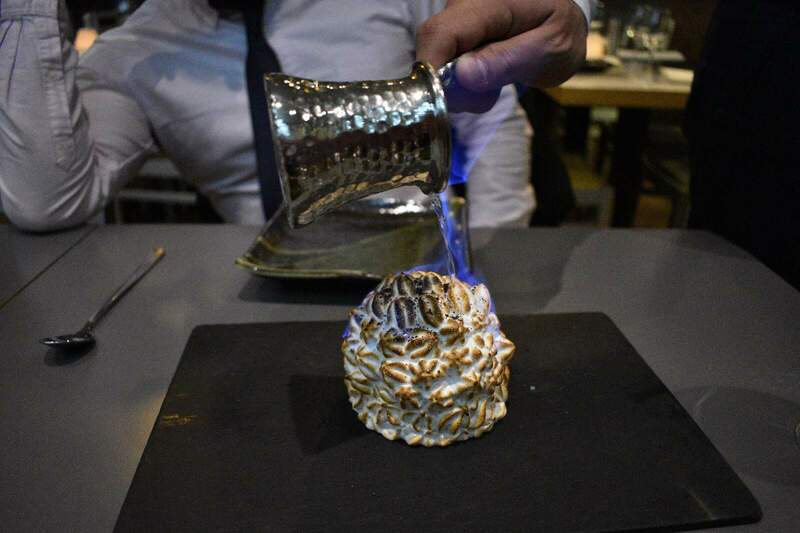 They even poured over flaming liquor at the table – it was like an end of meal show! Of course, in keeping with everything else we tried it was delicious, the flavours complimented each other perfectly and it felt like a nice light pud to finish off the meal. You can tell I enjoyed my time at Skewd. It was well worth the travelling to this restaurant in Barnet and I will be back for sure. 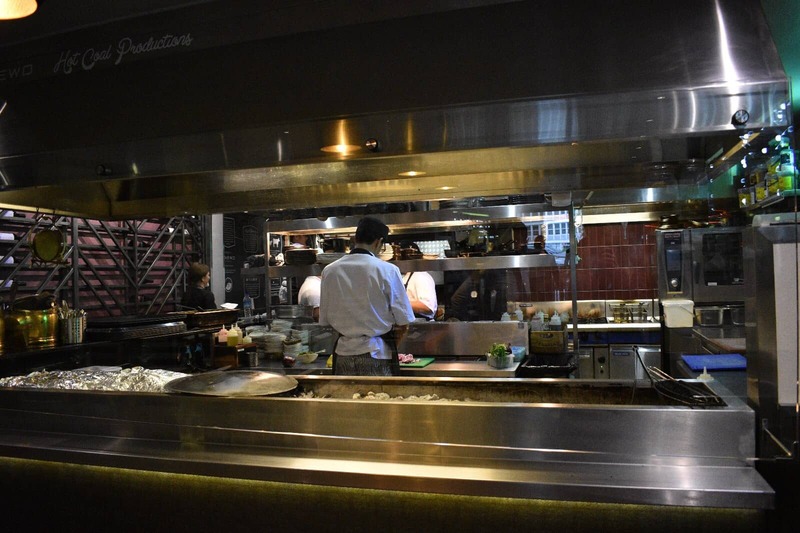 The food is really something special and the passion of Head Chef Tim really shines through. The prices are reasonable and you definitely get good quality in the food!